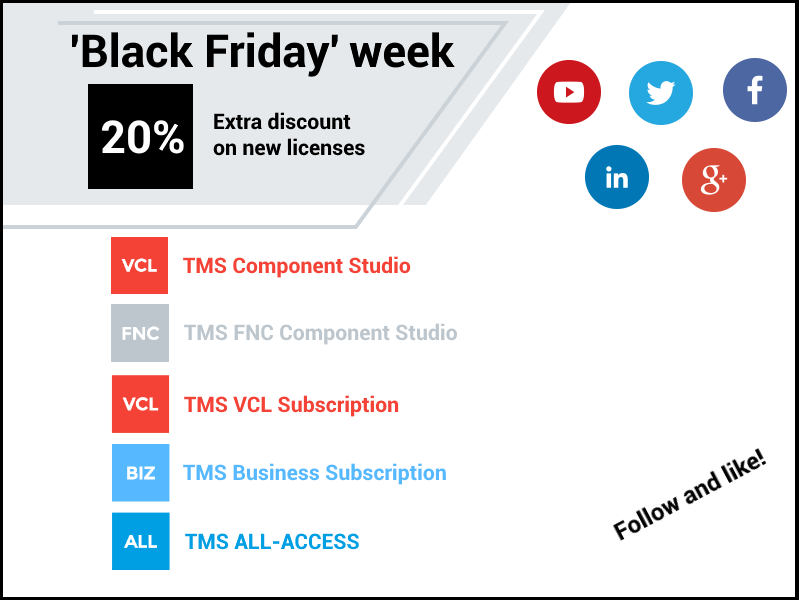 This week is TMS Black Friday Week! And on top of our normal discounts you receive an extra 20% discount on new licenses! Enjoy these super discounts all week long! To take advantage of these super deals, just visit our social media pages and find the coupon codes. And also do not forget to like and follow us on Facebook and Twitter.